Get answers to 10 key questions about transitioning into and through retirement. Watch how to get retirement planning advice. See how much your savings can grow. See how to take distributions from your savings. See if you're on track for retirement in a few steps. See your current RMD and estimate future ones. See how increasing what you save over time can really add up. 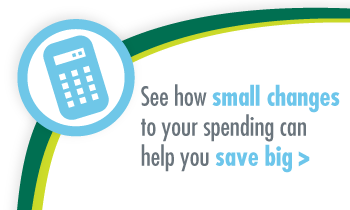 See how small changes to your spending can help you save big. Watch how a 457 plan helps you save with convenience and tax benefits. See why saving early matters. See how to be prepared for a significant expense. As you near or enter retirement, see how you can invest your RHS account. Watch for strategies you can use to turn your savings into income. Watch how public sector workers retired with confidence. Watch how to build your estate plan around a few key documents. Watch to learn if making Roth contributions is right for you. Watch how to keep your cool when your investments are pressured. Watch how to save and invest in six steps. Whatever your life stage, get the most out of your 457 plan with ICMA-RC. Get tips and resources to help protect you against investment and financial fraud. Learn about designating and updating your retirement acount beneficiaries. Learn how to maintain a good credit score and why it matters. Decide how much to save in your retirement plan. Learn about your options for paying down student loans. Explore the key differences between stable value and money market funds. View some key age-related financial planning topics at a glance. The pitfalls of taking a loan from your retirement plan. Review steps you can take to address aging-related challenges. Learn about the key estate planning documents. Review steps you should consider before you retire. Get tips to help manage housing debt as you transition into and through retirement. How you can structure a long-term care insurance policy that fits your budget. Help loved ones who may inherit your retirement assets understand the tax rules. See how taking charitable distributions from your IRA may help you lower your tax bill. The stock market has overcome many downturns and ultimately rewarded patience. Learn how to navigate some key bond fund risks. Over time, it's the time you're invested in the markets that matters. The challenge of predicting generally unpredictable financial markets. Compare historical volatility among different investment portfolios. A Roth IRA and a 457 plan complement each other - save to both. Get tips to help you navigate initial and ongoing Medicare decisions. Manage your financial and personal records in one document. Compare historical U.S. stock market returns. Compare pros and cons of purchasing pension service credits. Learn about a widely recommended way to manage investment risk over time. Learn about options to help you turn your savings into reliable income. Learn about investment strategies to help you manage your assets in retirement. Review potential pluses and minuses of borrowing from your retirement plan. Learn about some key RMD rules and planning tips. Learn if you're eligible to get an extra tax benefit for saving. Get tips and tools to help you save for college and navigate financial aid. Learn how to apply tips and tools to help you save. Use these worksheets to help you identify and reach your retirement savings goal. Learn about some key Social Security rules and planning tips. Know where your money goes rather than wondering where it went. Learn how you can take ongoing, penalty tax-free distributions before age 59½ . Learn about tax planning steps you can take to manage a major expenses. Learn about the potential pluses and minuses of a reverse mortgage. Five questions we hear the most about taking retirement account distributions. Learn how saving early benefits you later.